Traditionally, still life is the drawing or painting of items such as fruit, flowers and household objects, which are usually arranged on a table top. Birgitte Jonsgard has crossed LEGO with a typical still life set up to give a still LEGO life piece of artwork that seems to emulate the work of Dutch Golden Age painter, Pieter de Ring. The dark background and table contrasting with the vibrant colours of fruit, vegetables and, of course, the central lobster have been carefully arranged to really give some serious artwork vibes. 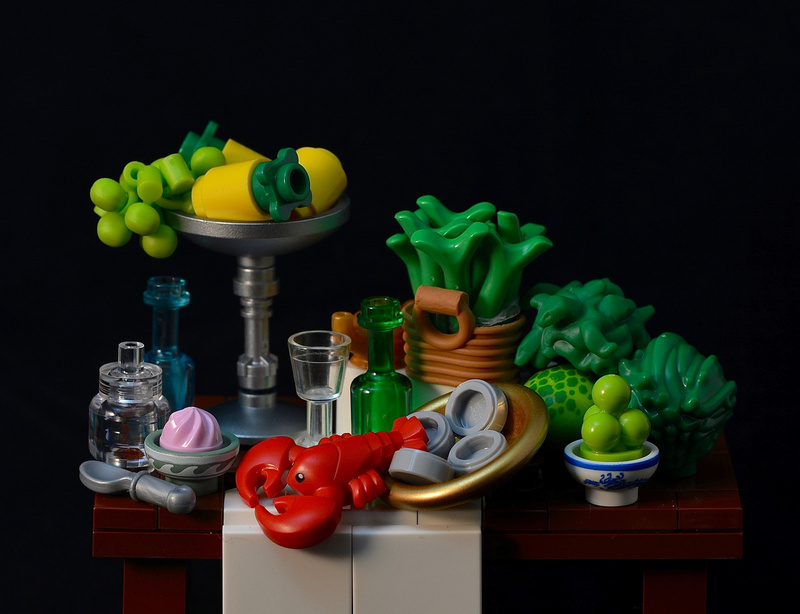 If you like Birgitte’s still life style of LEGO art, you will love another of her creations that we featured; Still life painting of LEGO fruit and seafood.